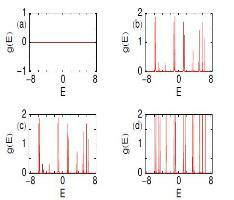 Electronic transport properties through some model quantum systems are re-visited. A simple tight-binding framework is given to describe the systems where all numerical calculations are made using the Green's function formalism. First, we demonstrate electronic transport in four different polycyclic hydrocarbon molecules, namely, benzene, napthalene, anthracene and tetracene. It is observed that electron conduction through these molecular wires is highly sensitive to molecule-to-electrode coupling strength and quantum interference of electronic waves passing through different branches of the molecular ring. Our investigations predict that to design a molecular electronic device, in addition to the molecule itself, both the molecular coupling and molecule-to-electrode interface geometry are highly important. Next, we make an in-depth study to design classical logic gates with the help of simple mesoscopic rings, based on the concept of Aharonov-Bohm effect. A single mesoscopic ring or two such rings are used to establish the logical operations where the key controlling parameter is the magnetic flux threaded by the ring. The analysis might be helpful in fabricating meso-scale or nano-scale logic gates. Finally, we address multi-terminal quantum transport through a single benzene molecule using Landauer-Büttiker formalism. Quite interestingly we see that a three-terminal benzene molecule can be operated as an electronic transistor and this phenomenon is justified through current-voltage characteristics. All these essential features of electron transport may provide a basic theoretical framework to examine electron conduction through any multi-terminal quantum system.